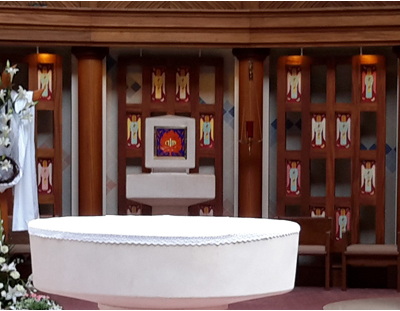 We are delighted to welcome you to the online presence of St Colmcille's Parish in Holywood Co Down. 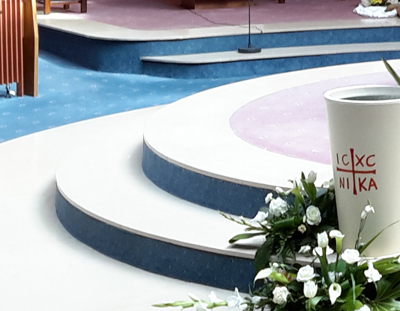 Ours is a vibrant and exciting parish and we hope that you find here all the information about us you need and we hope that you will join us for our celebration of Mass either in person or via our live video feed. All services are broadcast live via the internet. To view the live stream please click this link. 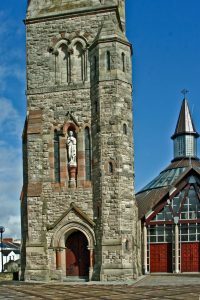 St Colmcille's Holywood is located at 2a My Lady's Mile, Holywood, Co Down, BT18. 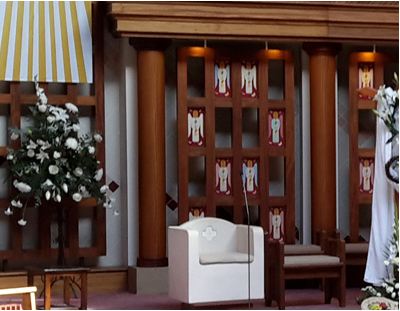 Our Parish Priest is Fr Stephen McBrearty and our Parish Secretary is Jacinta Crockford. The Parish Office Office Opening Hours are Monday - Friday 10.00am-2.00pm. 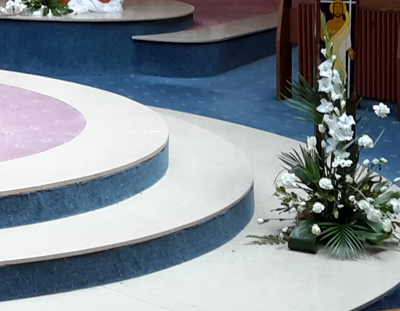 All enquries (including weddings, baptisms etc) should be directed to the Parish Secretary in the first instance. Our telephone number is 028 90422167. Alternatively you can contact us by using the form on the "Contact Us" page of this website or by email. Our email address is parishoffice@stcolmcillesholywood.org You are welcome to visit us at any time. The church is open from 08.30 each day. Closing time depends on the time of year. All services can be viewed live via our parish webcam. Please note that the church and grounds are protected by 24 hour CCTV and all images are recorded for security purposes. The area immediately outside the church is reserved for those with disability and is accessed via the gates on My Lady's Mile. Street parking is available during church opening hours and also in Spafield car park (free) opposite the church. The town of Holywood is well chronicled as an early ecclesiastic site. In the middle ages it was known as Sanctus Boscus – the Holy Wood. In 1866, Holywood became a parish in its own right. The foundation stone for the original church was brought from the ruins of the church in Gartan, Co Donegal, where St Colmcille was born and it was laid on Sunday 28th July 1872. 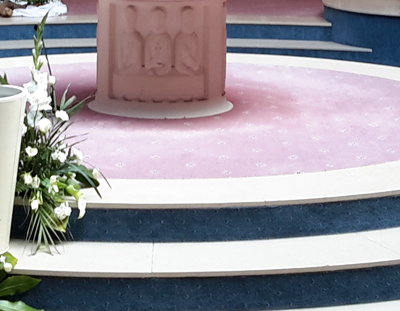 The building was solemnly dedicated by Bishop Dorrian on Sunday 14th June 1874. This church served the people of Holywood for the next 115 years. However in the early hours of 24th August 1989, the church was destroyed by fire. 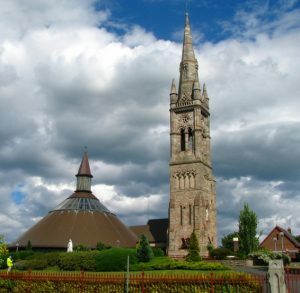 The spire and bell tower from the original church were restored and our magnificent new church, standing at the main entrance to the town, was solemnly dedicated by Bishop Patrick Walsh in the presence of the Very Reverend, John Stewart P.E. 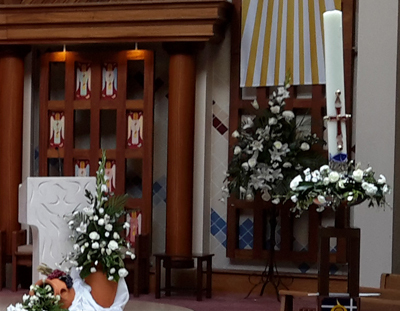 on Sunday 28th May 1995; We have approximately 2,000 families in our parish.